"Surely goodness and mercy shall follow me all the days of my life." A ring of sterling silver reflects the wholeness you experience when you claim God’s promises for your life. 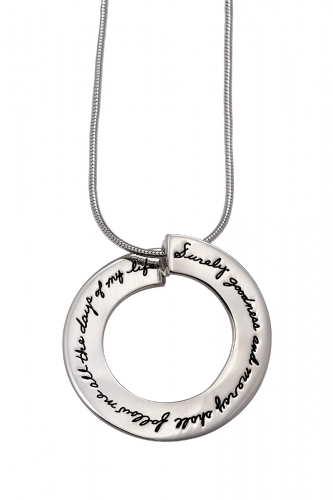 Wear this pendant to remind yourself that as your world turns, God is with you. His beauty and love surround you. The quote comes from Psalms 23:6. The 23rd Psalm is one of the most popular chapters in the Bible. It brims with hope, love, and optimism. 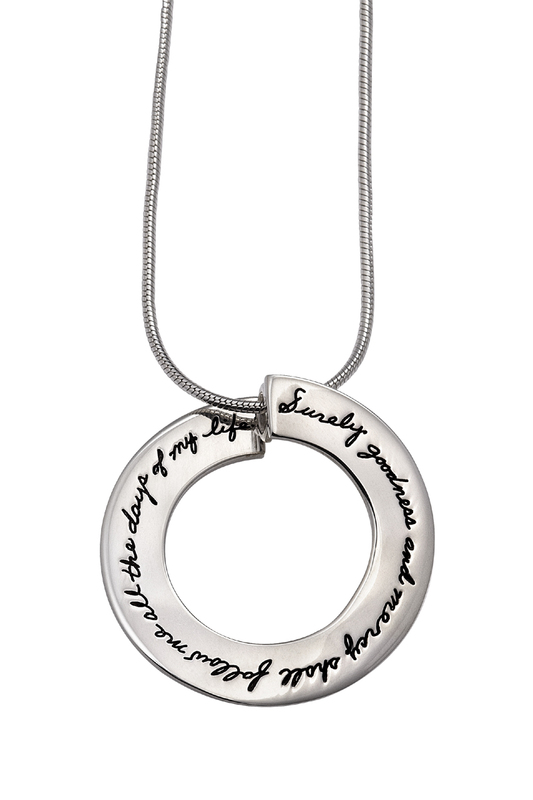 When you wear this necklace, you will remember that even when you’re in “the valley of the shadow of death,” you have nothing to fear.